The Cave is the first inflatable tent that Heimplanet made. It can be erected in less than a minute, with included pump, and is very stable and weatherproof. It certainly isn’t the cheapest tent, but it is arguably one of the coolest. Get your Heimplanet The Cave Tent here. The inflatable geodesic structure ensures outstanding stability. 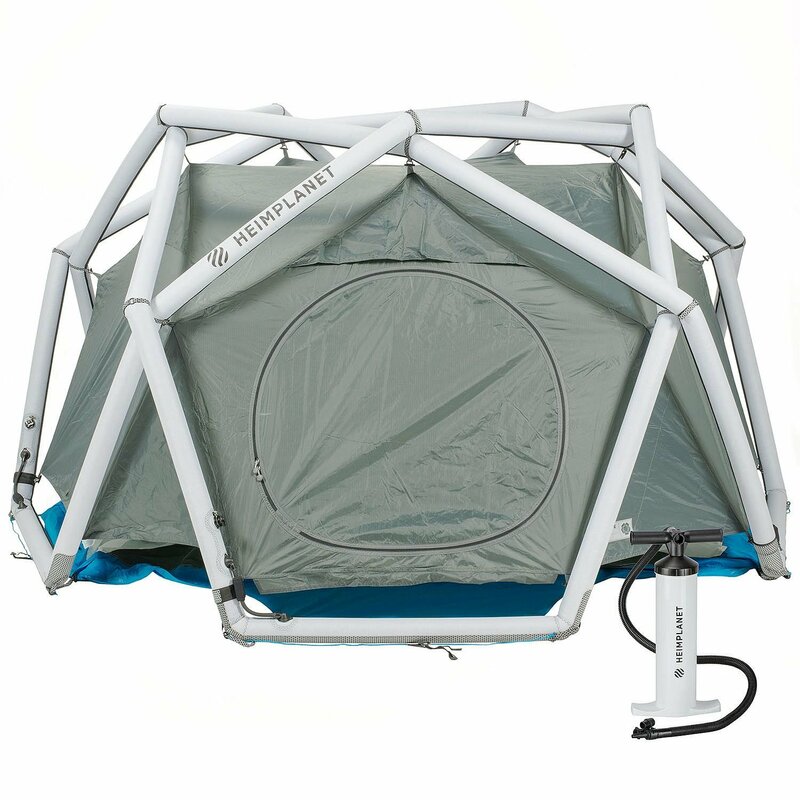 The tent’s center becomes an additional supporting point. This allows the formation of a star-shaped roof, creating a point-symmetrical slope that offers five run-offs for rain. Multiple sewn-in bags inside the tent offer space for smaller and bigger items. A vestibule at the entrance provides room for various camping items. A detachable gear loft underneath the rooftop offers additional storage space—place a lamp inside for diffused, atmospheric room light. Five closeable ventilation points and the entrance offer maximum flexibility, ensuring sufficient air exchange and a good climate inside the tent. The excludability of individual chambers offers emergency stability in case of a defect, and ensures easy repair or replacement of parts of the inflatable Diamond Grid (IDG).